Reaching out to and connecting with family audiences plays a vital role in many different sectors – leisure and retail in particular. Engaging with these audiences can be the key to boosting your sales and footfall. Understanding how to produce and share digital content to this type of audience can prove tricky, which is why we’re going to give you some pointers. It takes more than knowing that you want to target young parents with two kids – you need to know what makes them tick: how they interact digitally, and what they’re interested in! Knowing which platforms they use the most and what prompts them to engage online is the key to creating successful digital content. Leisure retailers see ROI increase 11 times when they include remarketing and carefully targeted ads in their campaigns. So, make sure you’re using and learning from social analytics data so you can really get to know your audience’s digital habits. There are various “mummy blogger” sites where mums can find support, advice, and often entertainment too – it’s important to understand that the “mummy” audience are very digitally savvy. 54% of mums between the ages of 25-54 use mobile devices to access the online world. So, whatever your content, it’s essential to make sure it’s optimised for mobile viewing. A survey by Mumsnet – one of the biggest online communities of Mums – found that almost half of their users saw personalisation as the future. They also learned that they would rather see ads and content that are tailored to their ages and online behaviours. 60% of mums say that Facebook is the first thing they check in the morning (after the kids, we hope? ), and 68% of that 60% use social media to find brand recommendations. 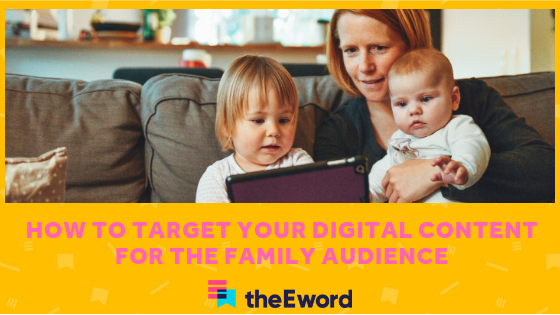 Using Facebook as your primary way to target mums, you can – both through paid and organic content – ensure the right content is visible by using audience targeting. This way you don’t have to worry about saturating your online profiles with content which is only suitable to one of your audiences. It’s easy to forget about the kids when you’re looking at family audiences and who makes the purchasing decision. However, it’s extremely important to understand that kids play just as much of a role in the purchasing journey as the adults do. Kids have a huge impact on family days out and on family purchasing decisions. This is clearly demonstrated in the Christmas lists made by children every year, and we have a feeling that you’ll definitely want your product or brand to feature on that. Hotel and accommodation booking site Hotel Tonight used humour to tap into the parent audience with their campaign Visit, Don’t Stay. Using imagery with comical captions, Hotel Tonight played on the idea that families don’t always want to spend time with their relatives. This tactic allowed Hotel Tonight to create content which was relatable to their audience and engaged with them on issues they are familiar with. A great way to access the digital family is to maintain an active and updated blog with relevant articles and information, and to make sure that your content appears for key searches. Luxury Family Hotels have a prime example of a blog that is targeted perfectly to their target family audience. The blog has everything a family needs to know; from the best holidays with toddlers to the best family cookbooks. A continuously updated blog is a great way for new customers to find you on Google and also gives you the opportunity to collaborate on guest posts with influencers and other brands. Here’s a few more ways brands have successfully targeted British families online. With 68% of mums saying they use social media for brand recommendations, social media should play a huge role in using digital methods you use to engage families. We worked with Madame Tussaud’s Blackpool to capture their family audience using Snapchat and a designed a custom filter, which gained 10.5K swipes, 206 uses, and 9.1K views. Oakwood Theme Park prides itself on being the perfect family day out, so what better way to reach their online audience than by using nostalgia as the basis for a campaign? We ran a Facebook photo competition asking users to share their family memories of Oakwood to be in with a chance of winning a family pass. The competition resulted in an organic reach of 6.7K, 682 post-clicks, and 110 reactions. Creating interactive digital content is a great way to show your family audience that you care about the same things they do. 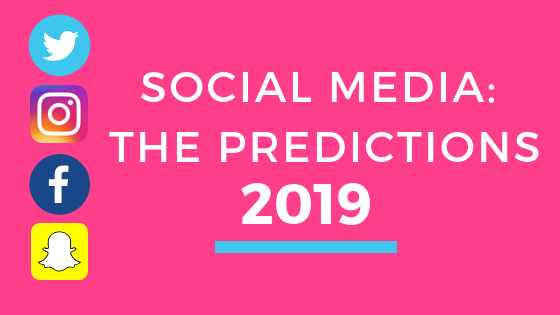 Engaging with them online will also give you the chance to get to know your audience more and gain better insights, which will help when creating future content. 8. DON'T FORGET ABOUT THE KIDS! If you need some more expert advice on how to get your audience engaged online and through the doors of your attraction drop us a message and we’ll be in touch on how to get both the parents and the little ones on board!